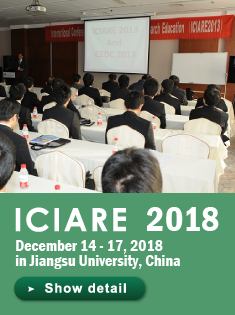 ICIARE 2018 & CEDC 2018 will be held in Jiangsu University, China on Dec.14-17,2018. Innovative Research & Education Organization of Asia (IRE) is an international organization founded in October 2013, its originator is Yamaguchi University(Japan) and now the members of IRE include many universities and research institutes of China, Japan and Korean, such as Jiangsu University(China), Dalian University of Technology(China), Yamaguchi University(Japan), University of Soul(Korean), Kunsan National University(Korean), etc.. 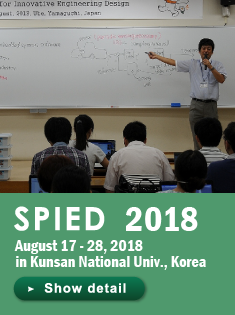 The goal of IRE is aimed at strengthening the innovative research and education cooperation among universities of Asia, especially for innovation of mélange of mechanical engineering, electrical engineering, computer science and communication engineering. 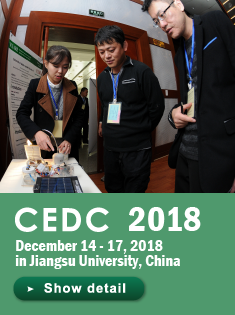 Currently, IRE has set up three programmes for innovative engineering design (SPIED/CEDC/ICIARE) and published a Journal named “International Journal of Engineering Innovation and Management”. IRE welcomes any universities and research institutes of Asia whose attention is paid to innovative research and education.